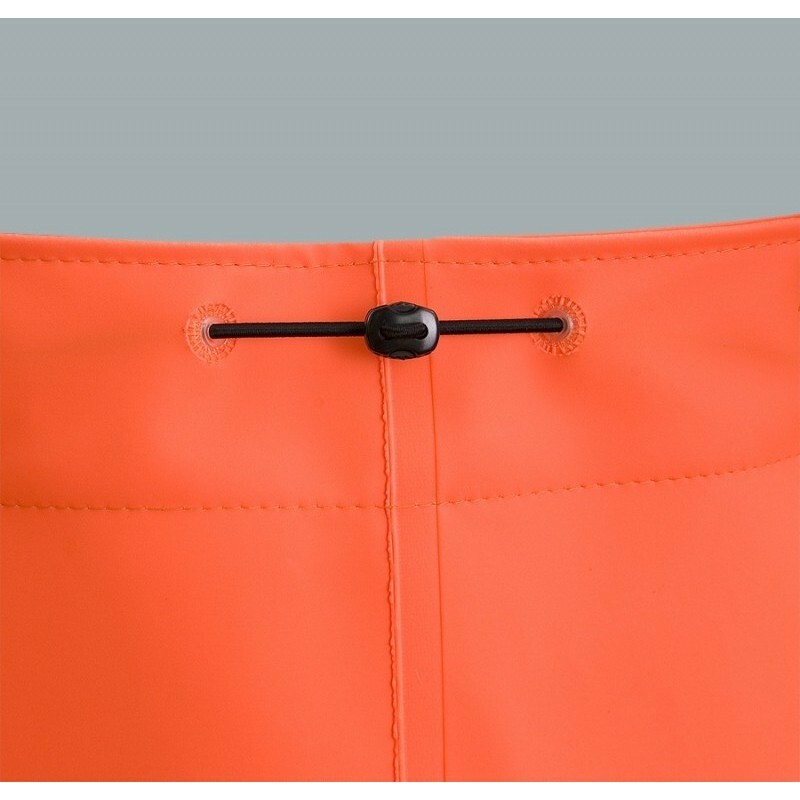 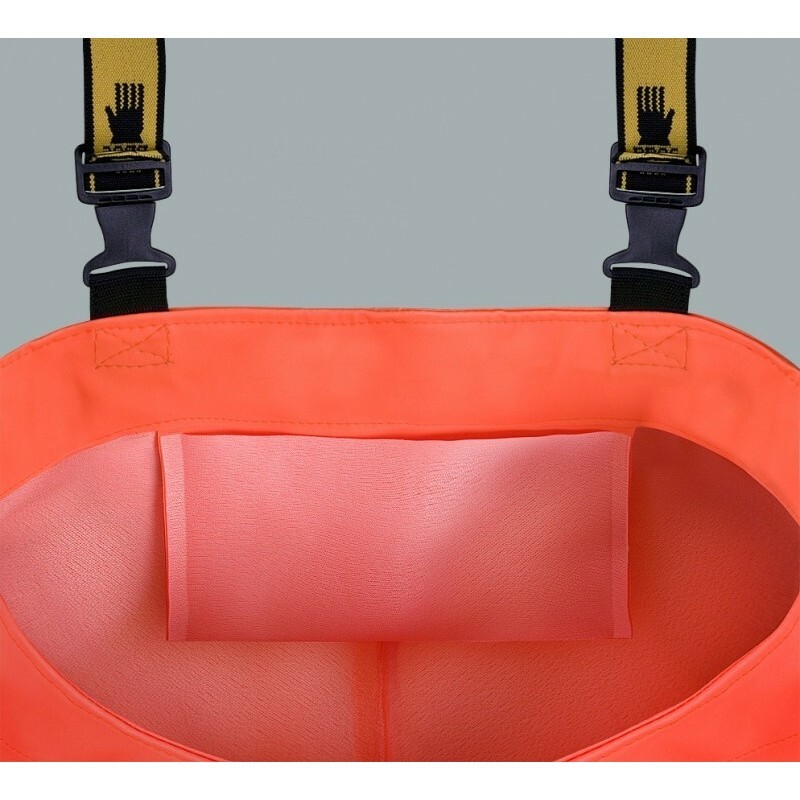 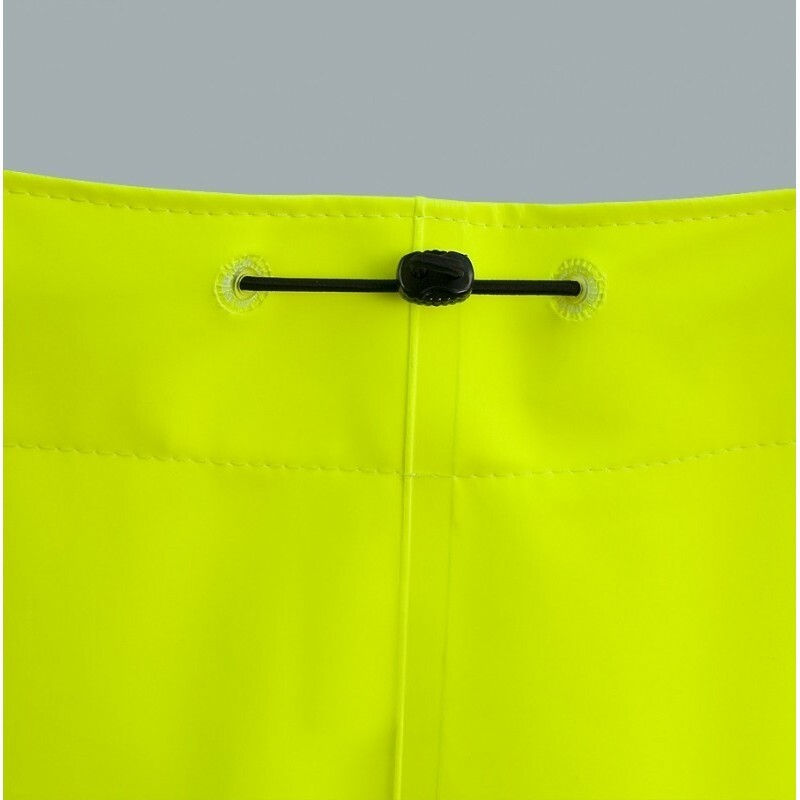 Made of Plavitex Heavy Duty Fluo (PVC/polyester), weight 700g/m²; PLAVITEX is a very strong technical fabric resistant to different kind of mechanical damages. 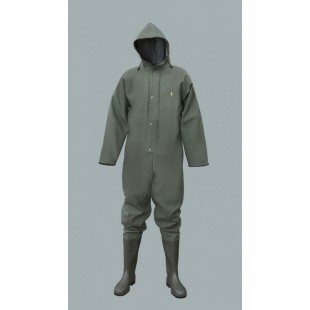 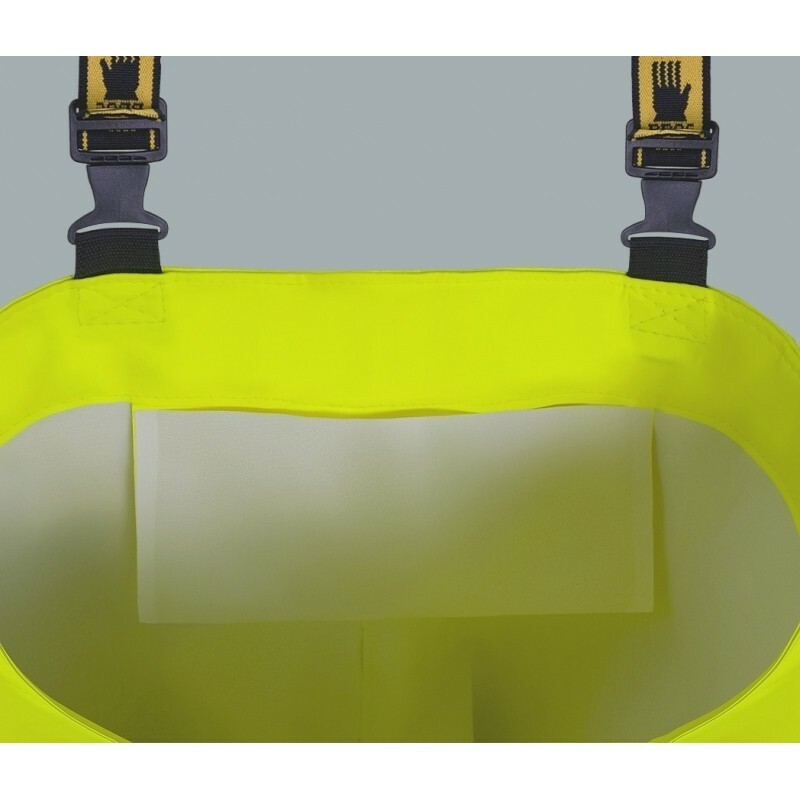 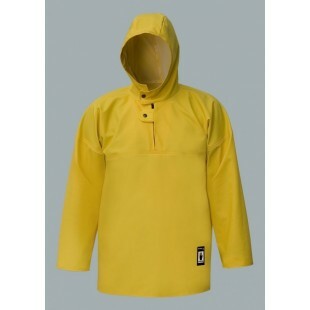 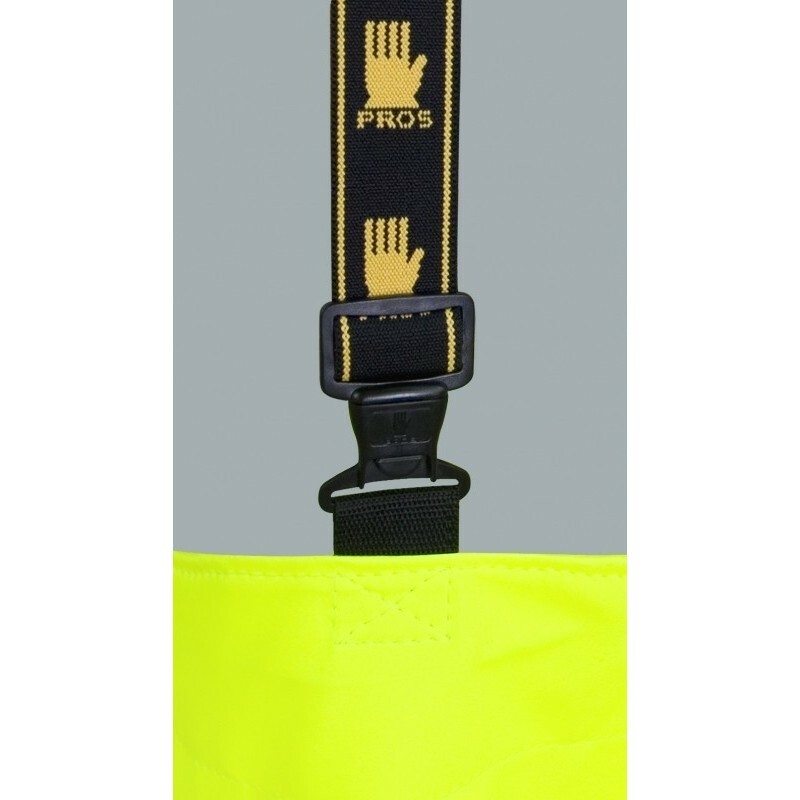 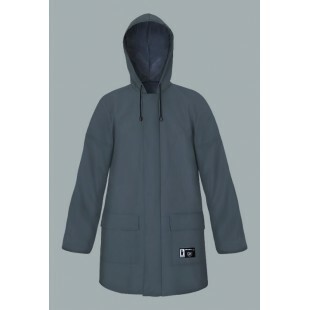 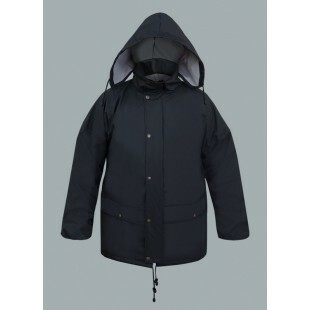 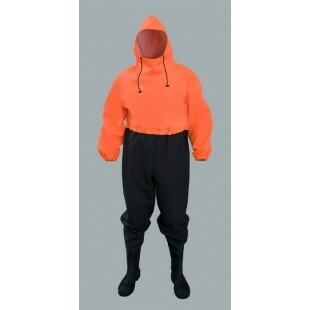 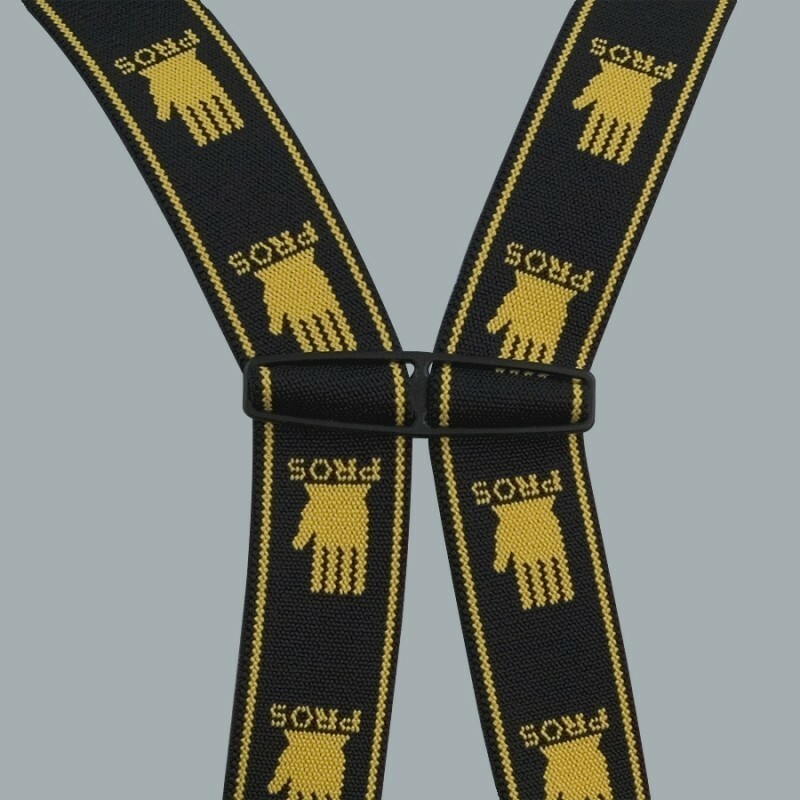 The product is recommended in places with poor visibility for good protection of workers. 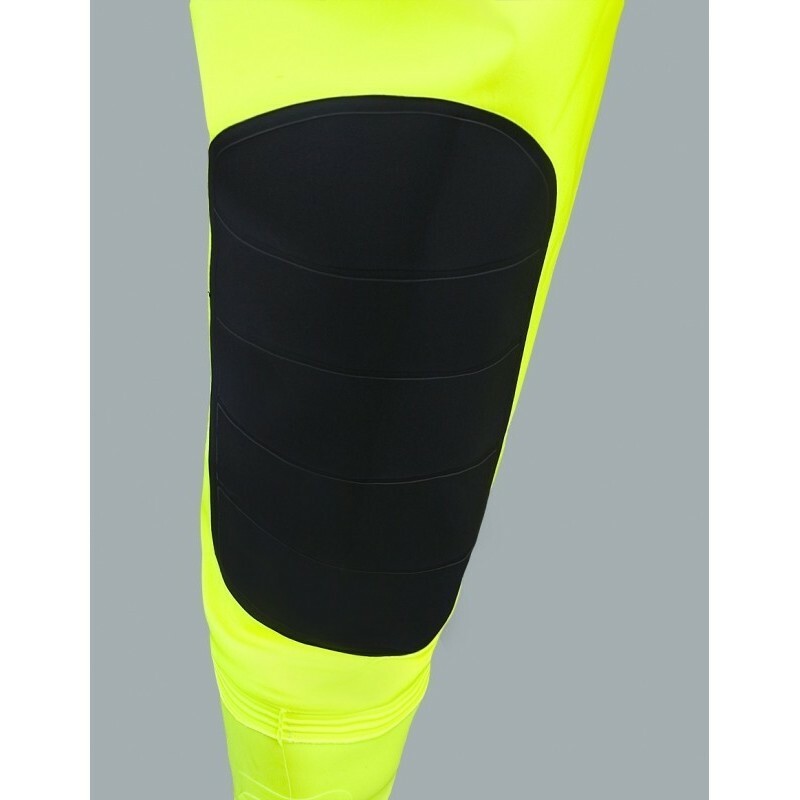 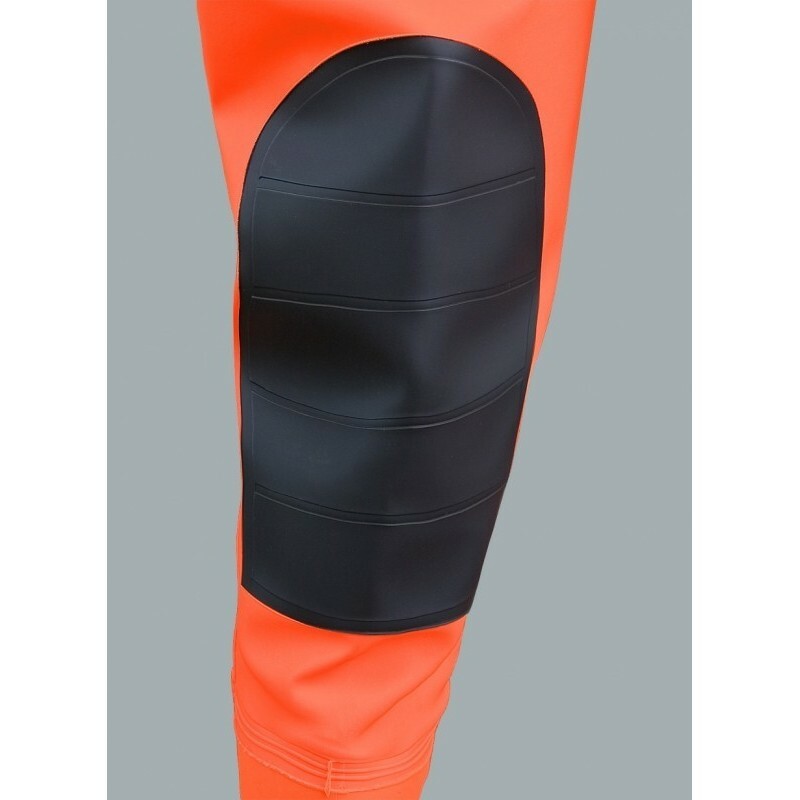 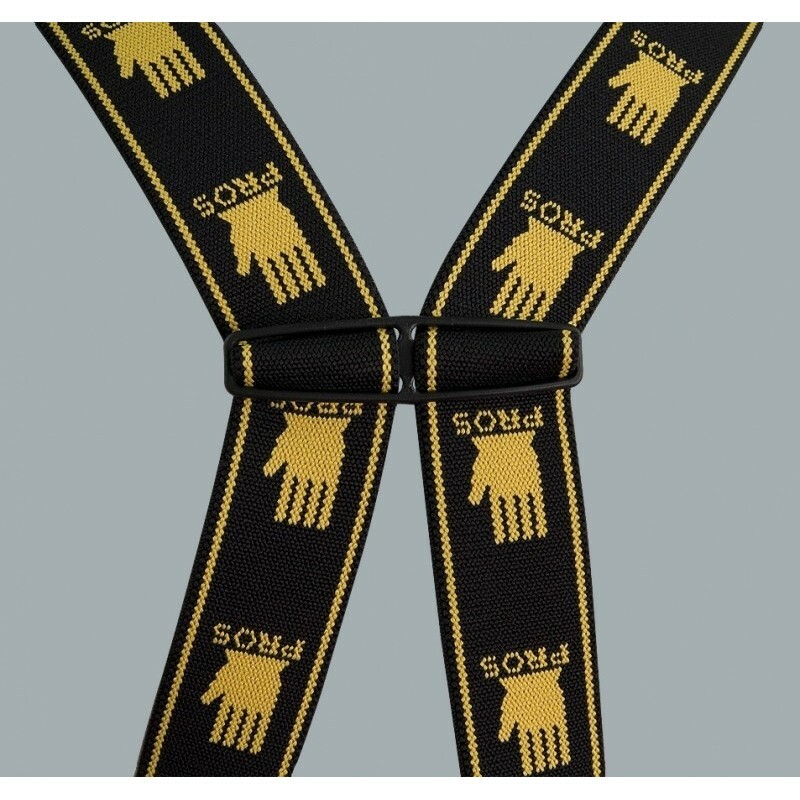 Additional knee reinforcement protects against an eventual abrasion and failure. 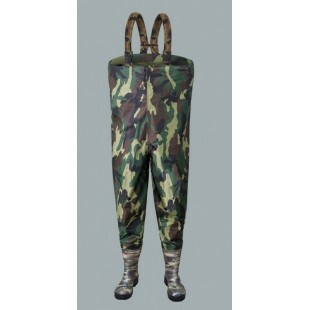 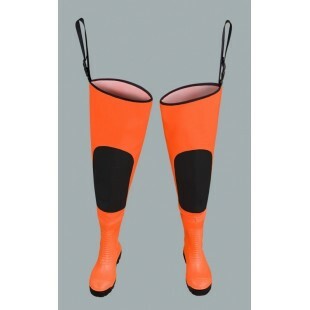 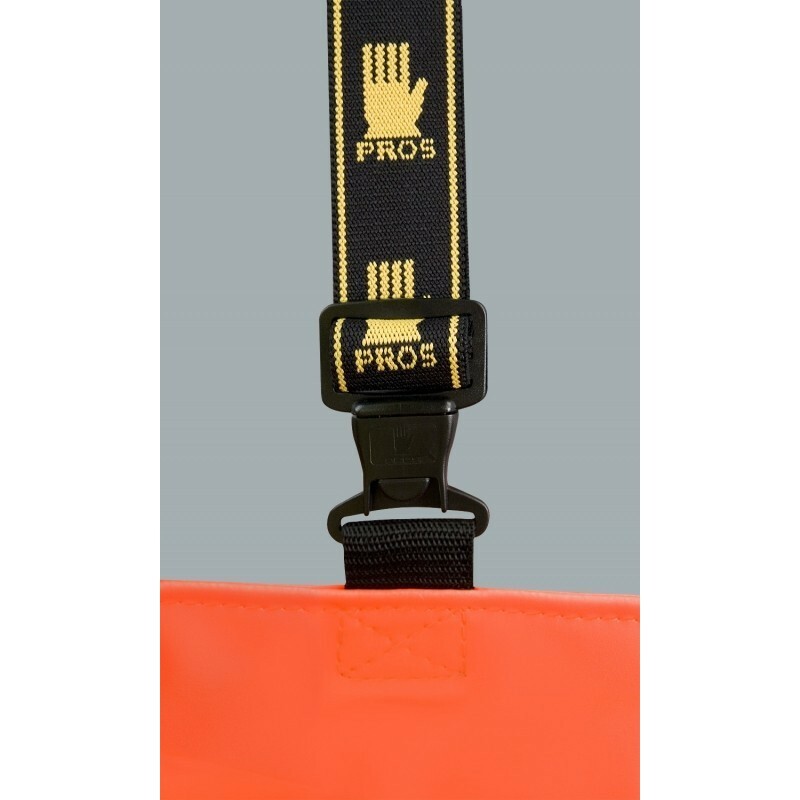 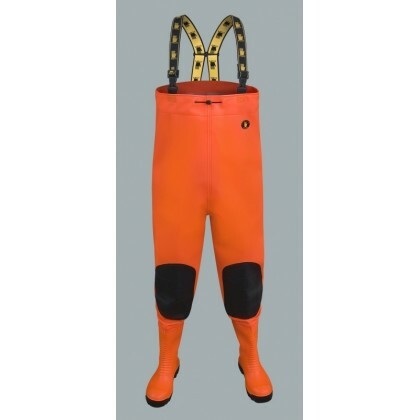 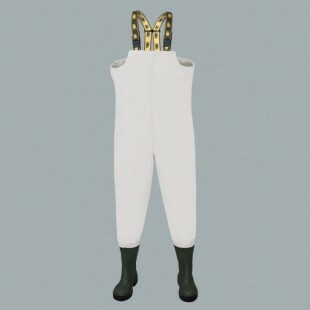 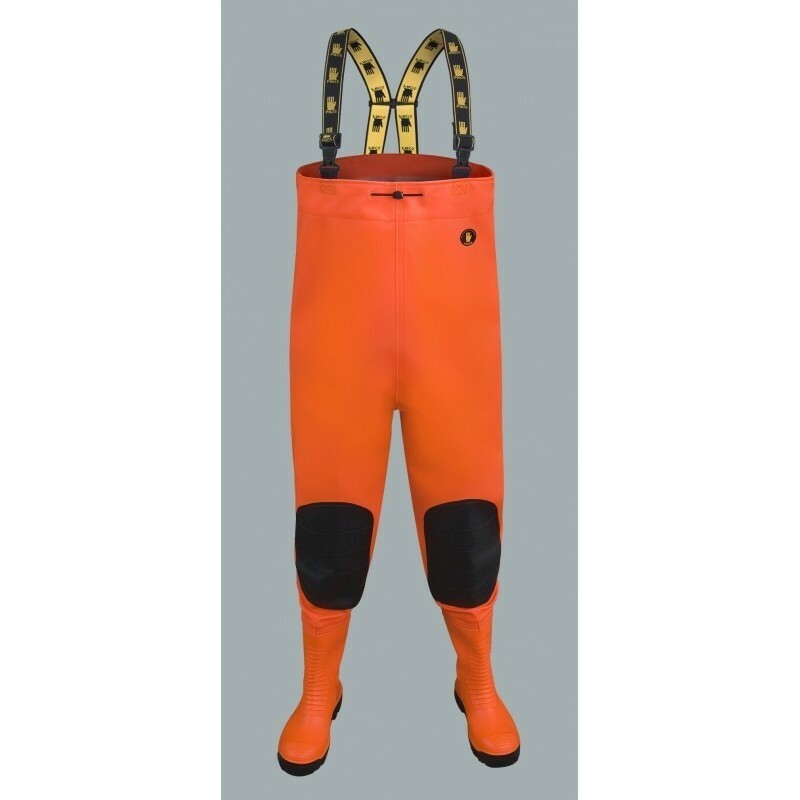 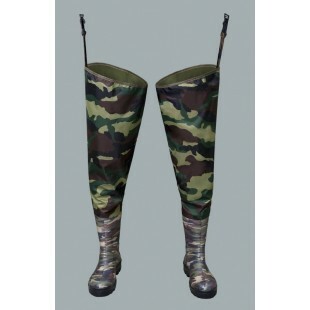 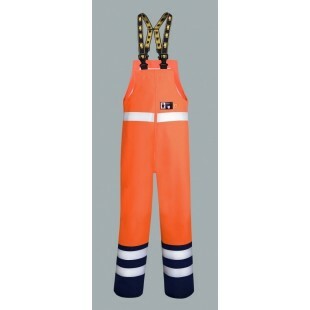 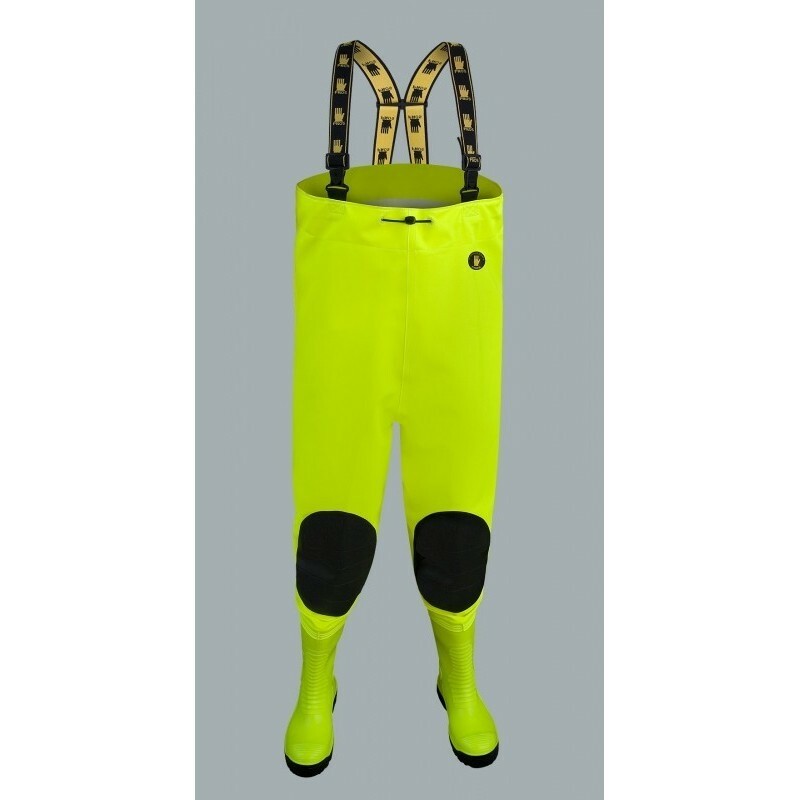 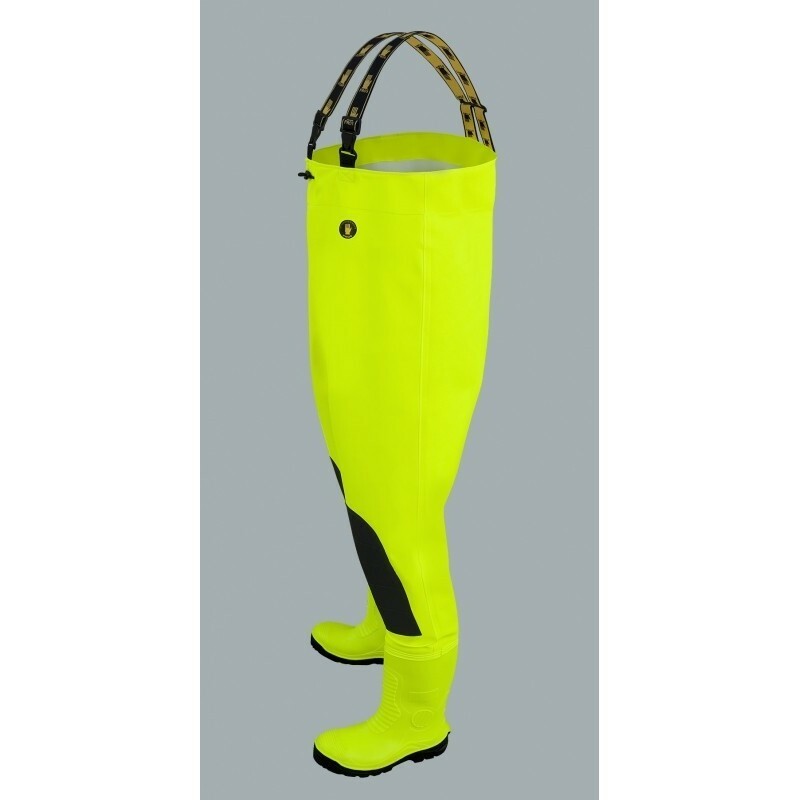 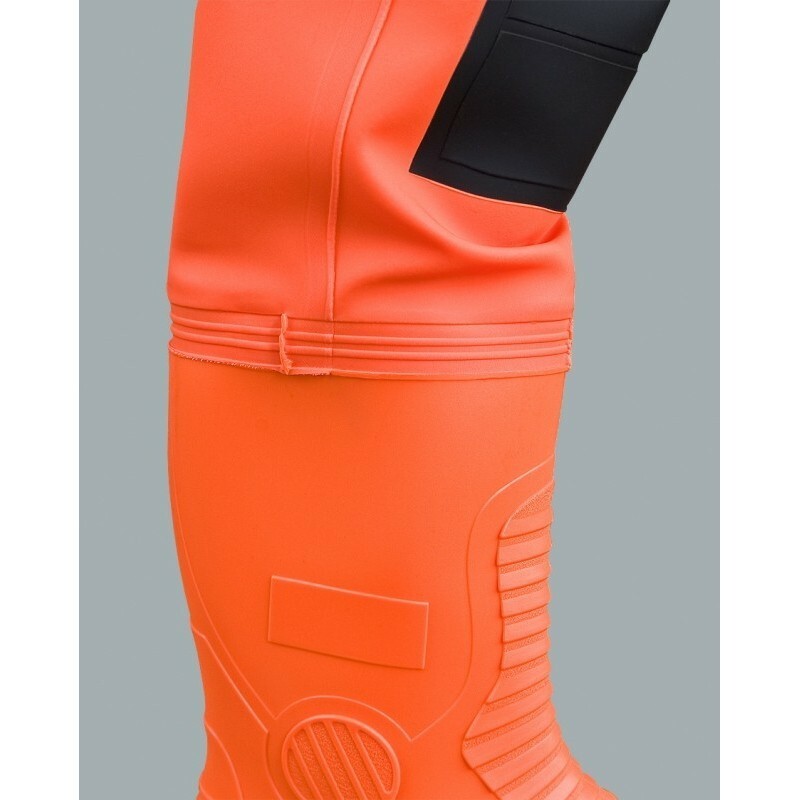 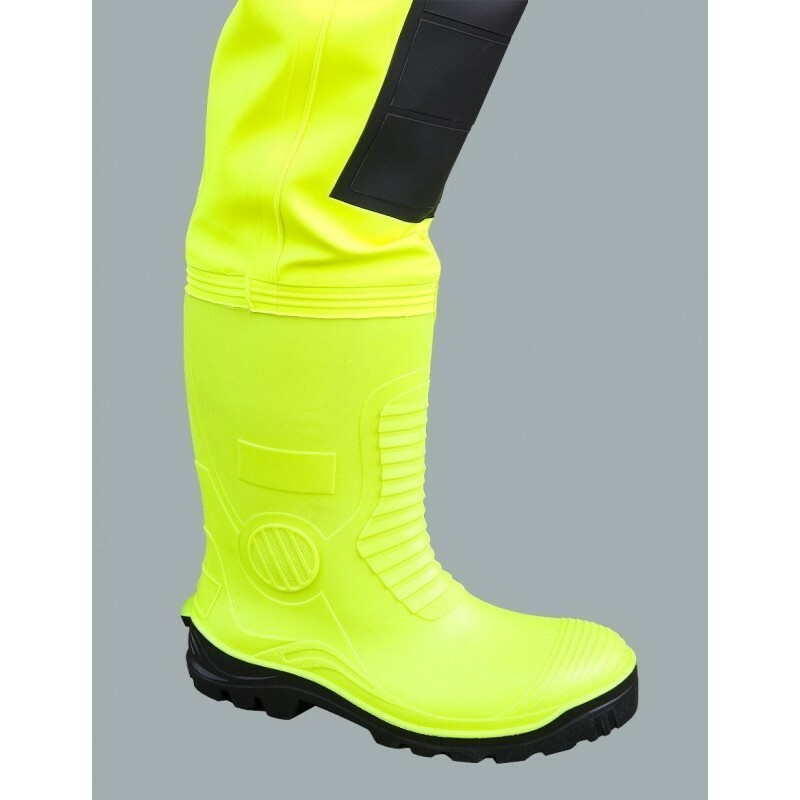 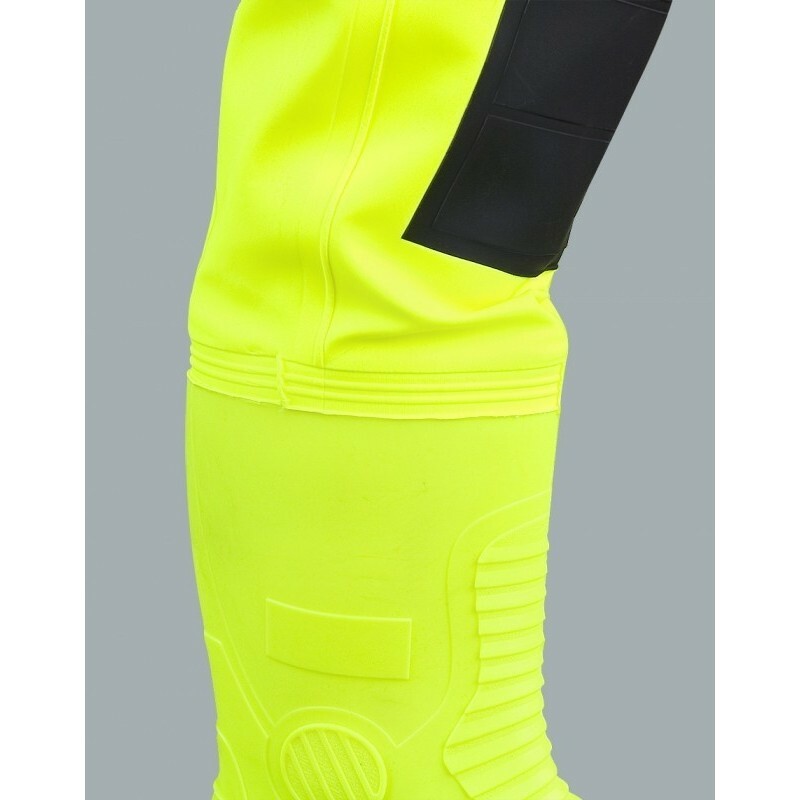 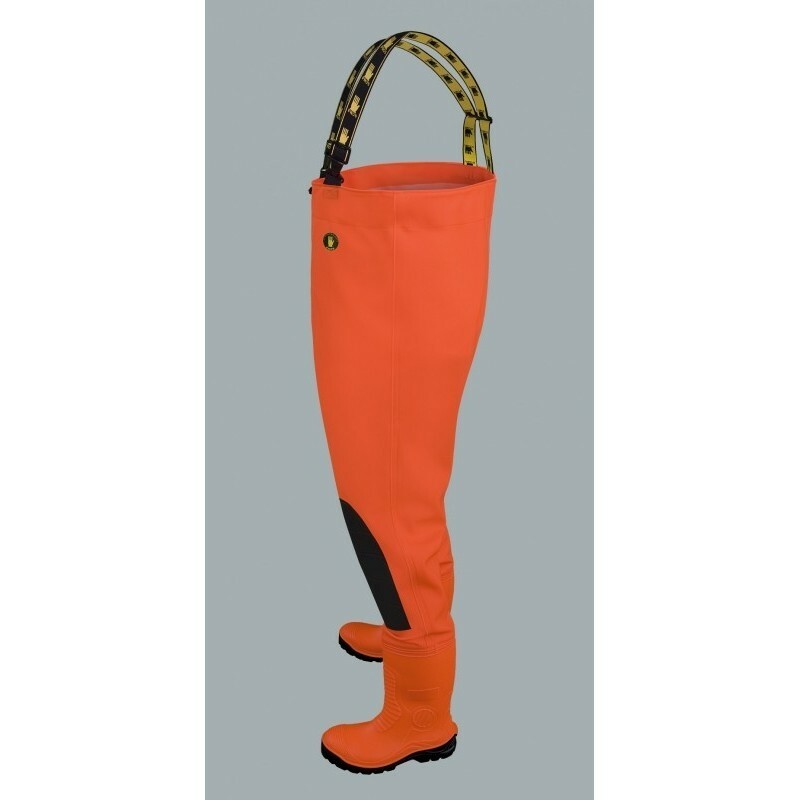 For production of Fluo Chest Waders MAX S5 we used new strap fixation and elasticated braces and high-quality Safety boots S5 type – steel toe cap and steel midsole. 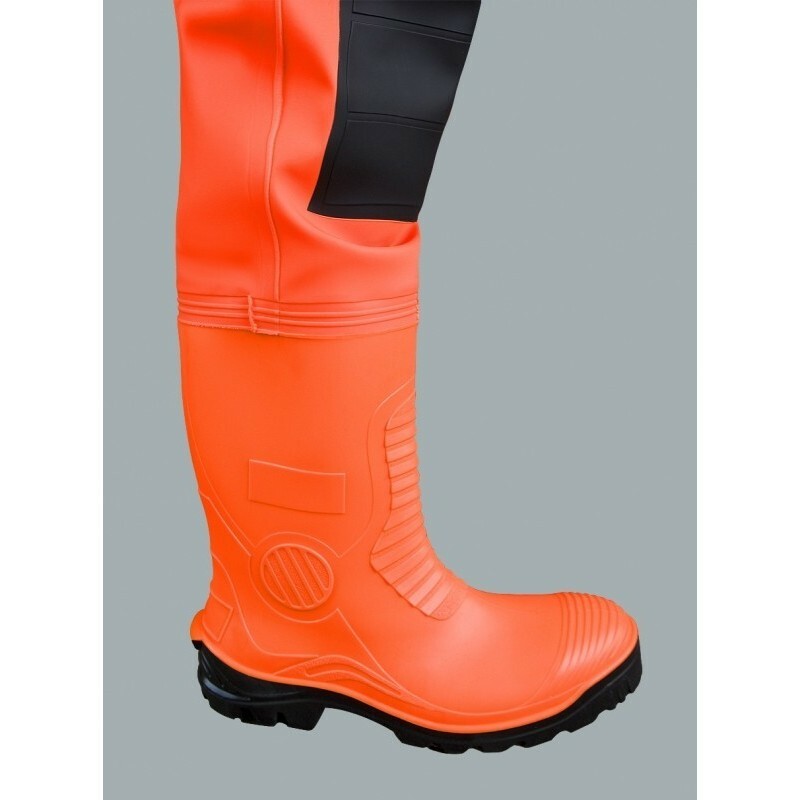 Available sizes: 39 - 48.